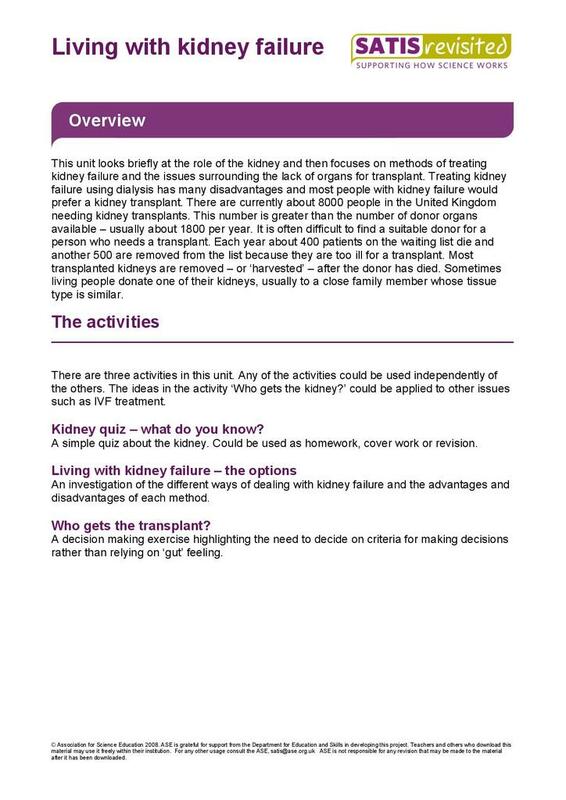 In this SATIS Revisited resource students look at the role of the kidney and treatment of kidney failure by dialysis and with transplants, and explore issues around the shortage of donor organs in the UK. 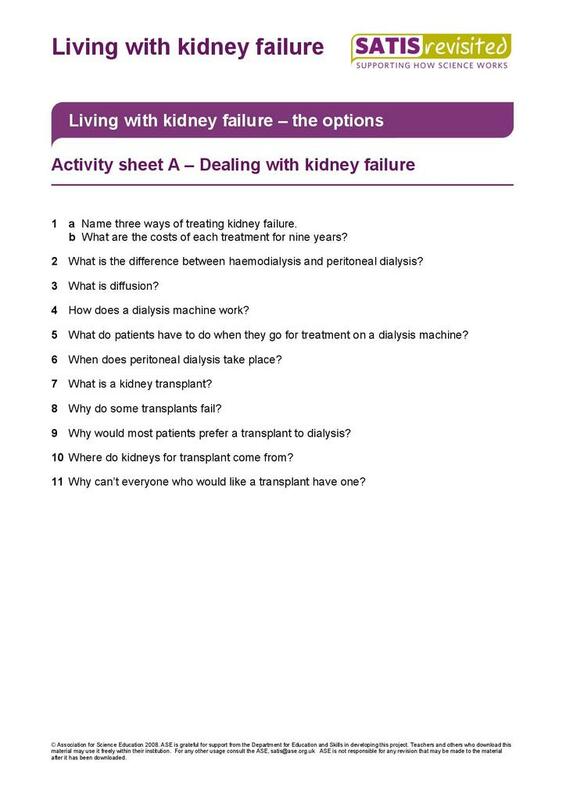 In 2010 the number of individuals requiring kidney transplants in the UK was approximately 8000 people. 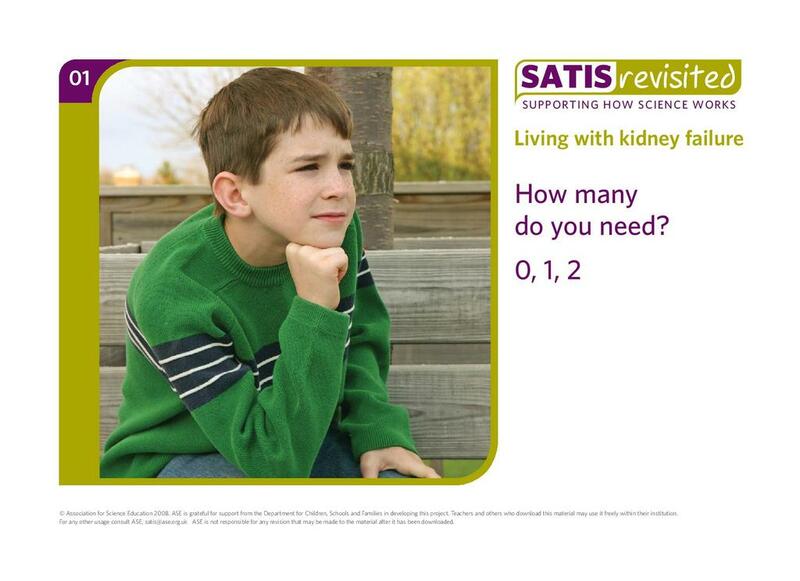 This number is greater than the number of donor organs available – usually about 1800 per year. 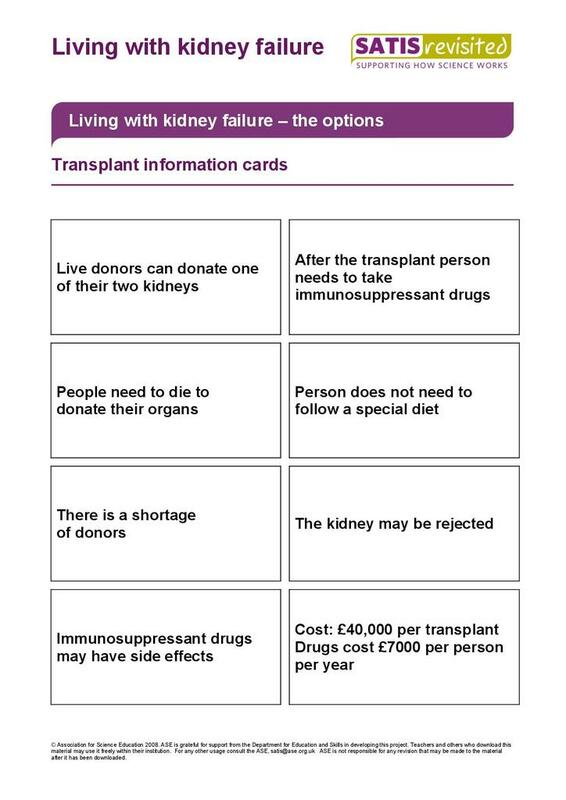 It is thus often difficult to find a suitable donor for a person who needs a transplant. 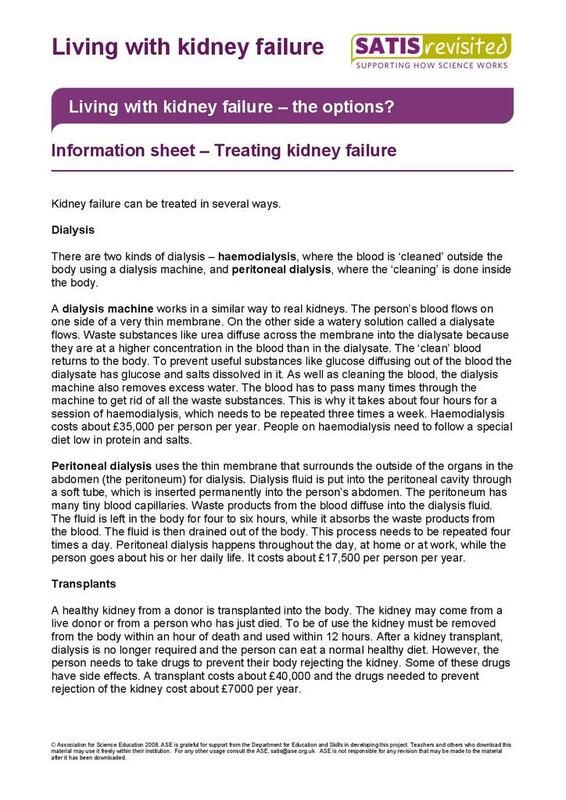 Treating kidney failure using dialysis has many disadvantages and most people with kidney failure would prefer a kidney transplant. 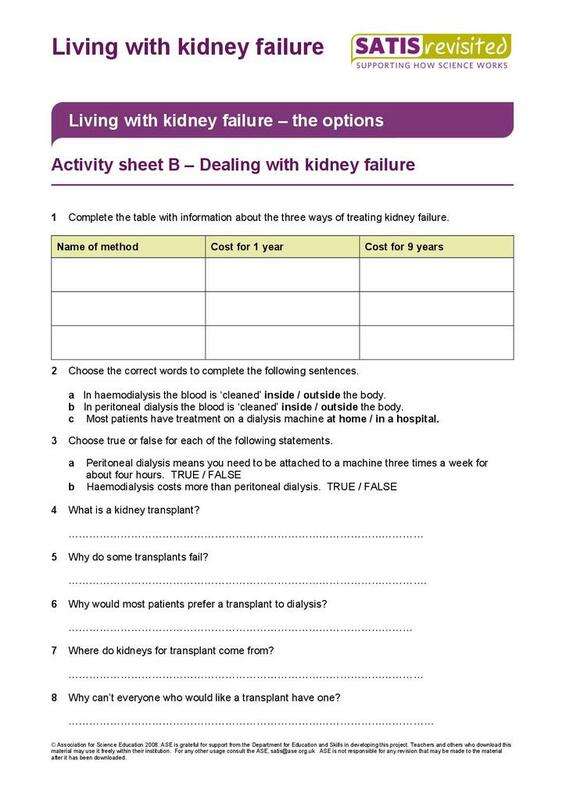 Most transplanted kidneys are removed – or ‘harvested’ – after the donor has died. Sometimes living people donate one of their kidneys, usually to a close family member whose tissue type is similar. There are three activities in this unit. 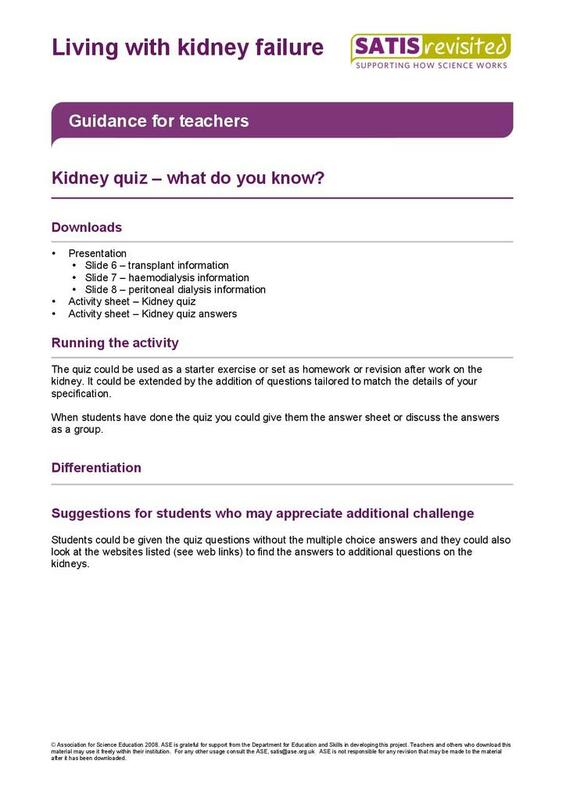 The first activity is a quiz that could be used as homework or revision. 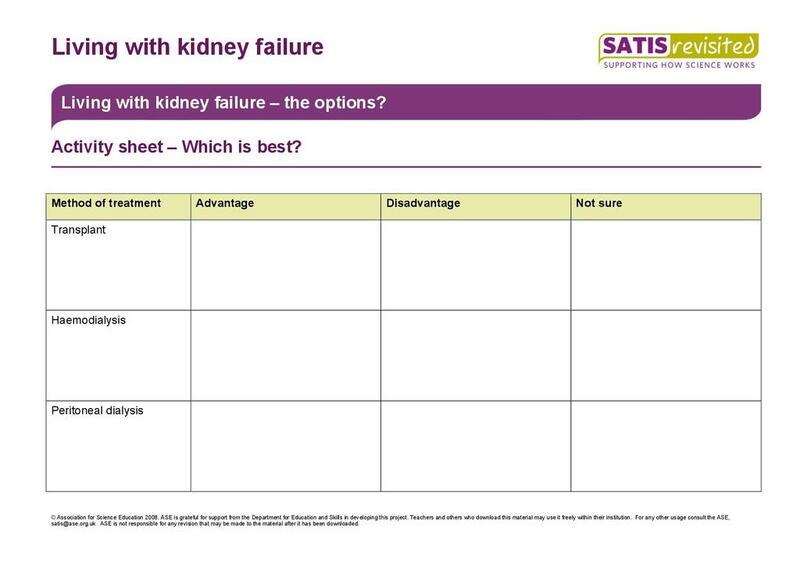 The second activity is an investigation of the different ways of dealing with kidney failure and the advantages and disadvantages of each method. The third activity is a decision making exercise highlighting the need to decide on criteria for making decisions rather than relying on ‘gut’ feeling. Any of the activities could be used independently of the others. 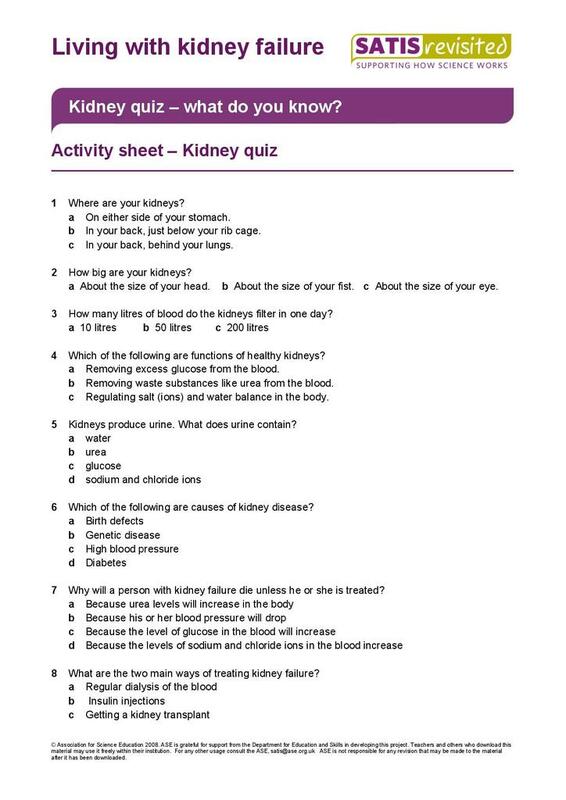 The ideas in the activity Who gets the kidney? could be applied to other issues such as IVF treatment. 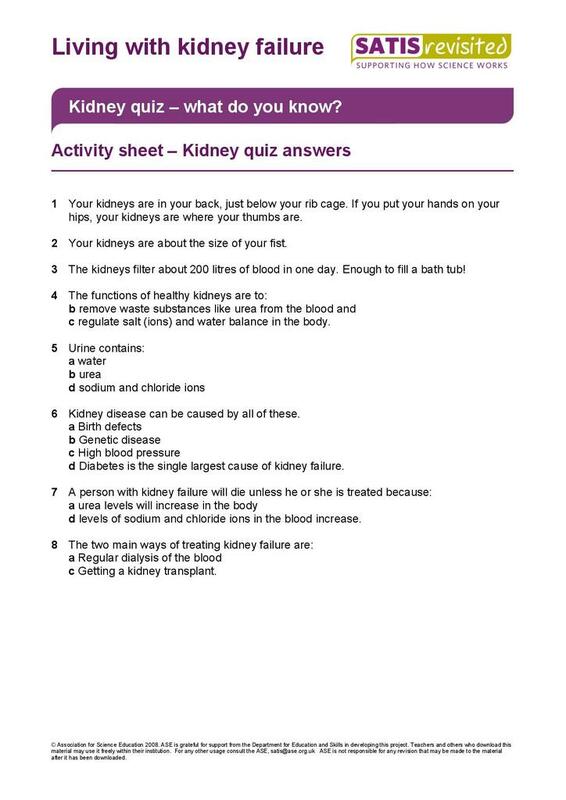 Kidney quiz – what do you know? *Activity sheet – Which is best? 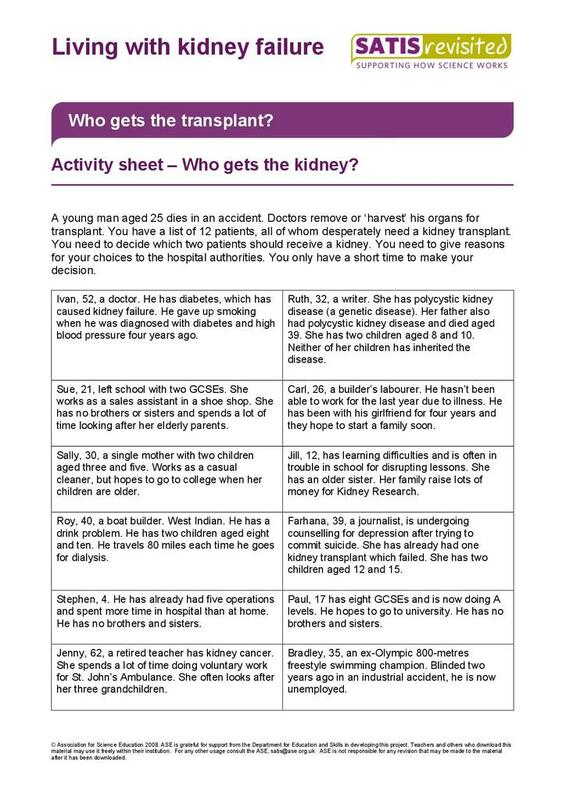 *Activity sheet – Who gets the kidney?